Browsing the records on Bandcamp.com tagged “Ithaca” yields up a wide array of music. 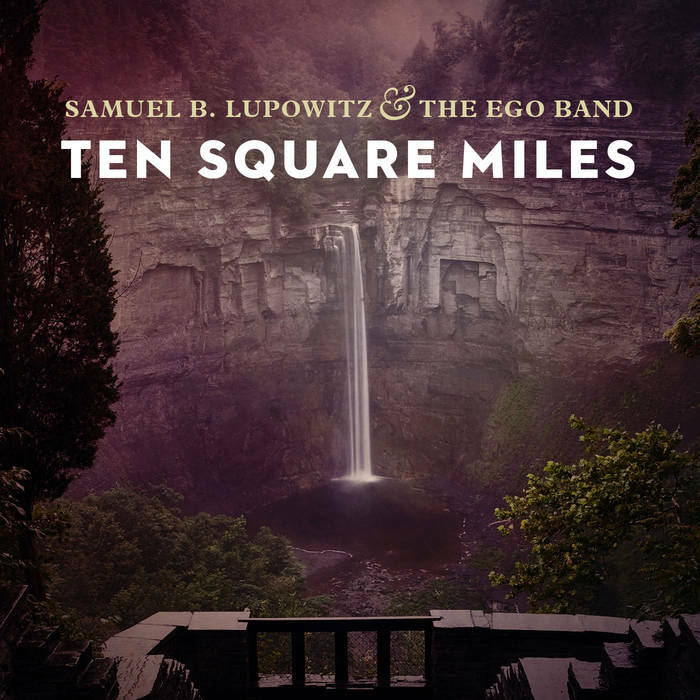 Everything from hip hop to rock, electronica to blues is represented, and yet this record from Samuel B. Lupowitz and the Ego Band is perhaps the most appropriate use of the “Ithaca” tag yet. With song titles like “Lucifer Falls” and “Indian Summer, Hillview Place,” and an album title taken from the slogan “ten square miles surrounded by reality,” it quickly becomes clear that this is a record dedicated to the motherland itself. Naturally, I had to give it a listen, and the album doesn’t disappoint. Sonically, Ten Square Miles is a breath of fresh air. The songs have a playful diversity to them while still maintaining a central cohesiveness. The album doesn’t get boring, but it doesn’t give you whiplash either. “Asylum,” a dark mid-tempo soul rock song contains a sudden gospel breakdown. “Dance in the Fountain” establishes a funky wah groove before turning left into a full on jazz trumpet solo impeccably executed by Jimmy Rose. The result of these choices create a fun unpredictability on this record. Lupowitz has curated nine songs, each of which tell a story not only lyrically, but musically as well thanks to his careful arranging choices. The sizable band makes for a number of outstanding performances. Will Sigel is rock steady on the drums. Mandy Goldman displays excellent vocal prowess on the slow country jam “Indian Summer, Hillview Place.” Drew Serafini appears to be a jack-of-all-trades, playing guitars, bass and mandolin on different tracks. All of it was recorded at Electric Wilburland Studios, which captured the great warmth of all of these instruments, along with the band’s live energy, beautifully. Ten Square Miles isn’t without it’s rare flaws, however. Although arranging is generally a strength here, some arranging choices seem to distract rather than contribute to the overall effect of a song. A good example of this also exists in the background vocals on “Indian Summer,” which seem improvised rather than planned, and as such they contain moments that pull you away from the narrative being told. This record doesn’t sound like something that could be played on modern radio, but to judge it by that standard would be to miss the point. From listening to The Ego Band’s earlier record, Songs to Make You Wealthier and More Attractive, it’s clear that this band doesn’t care to follow the trends, to bend its sound to cater to what’s hot right now. They prefer to throw it back to timeless sounds pioneered in the 70s, and I’ll be damned if those pioneers wouldn’t be proud to hear it. Favorite Track: “City on the Hill” is the perfect example of Lupowitz’s excellent storytelling paired with out-of-the-ordinary song structure. It’s unique, epic and yet still highly relatable even if you didn’t grow up in Ithaca. Listen to it thinking of your formative years and you’ll be instantly nostalgic for the old days.